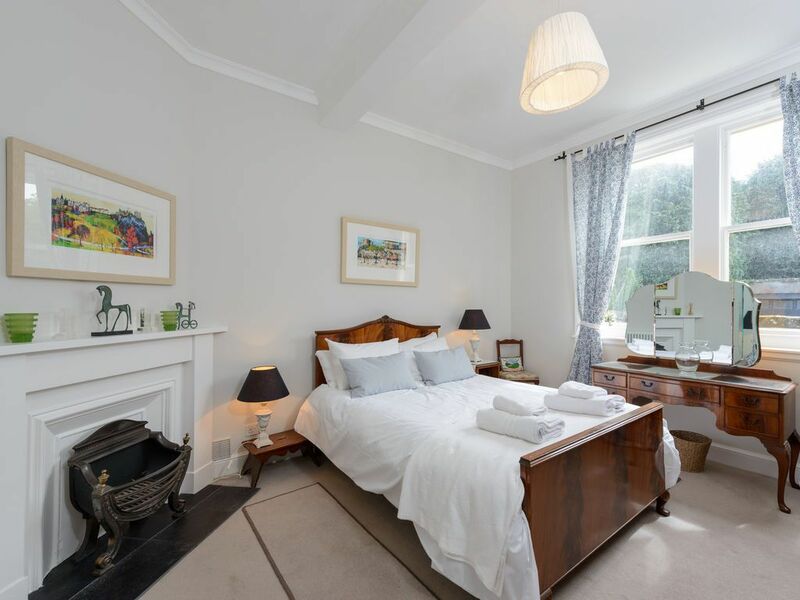 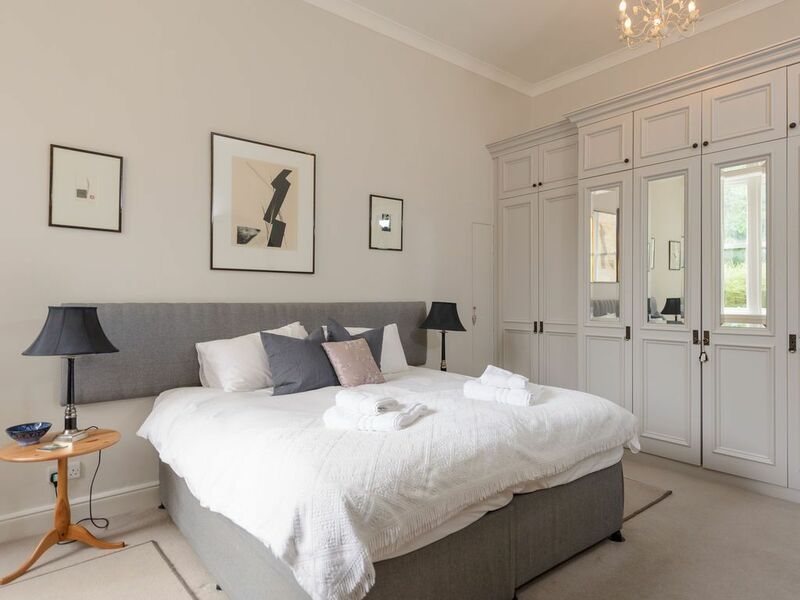 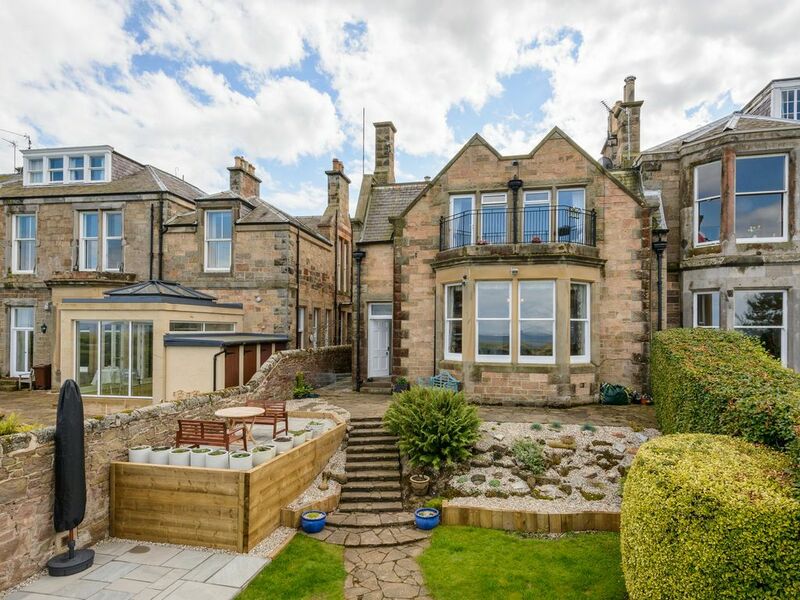 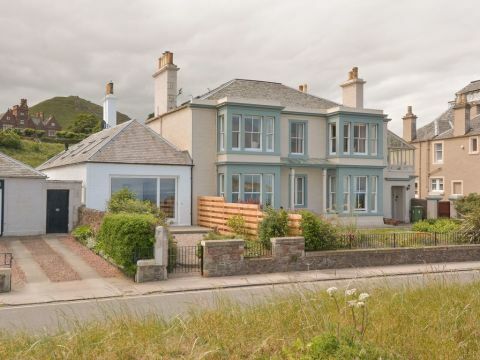 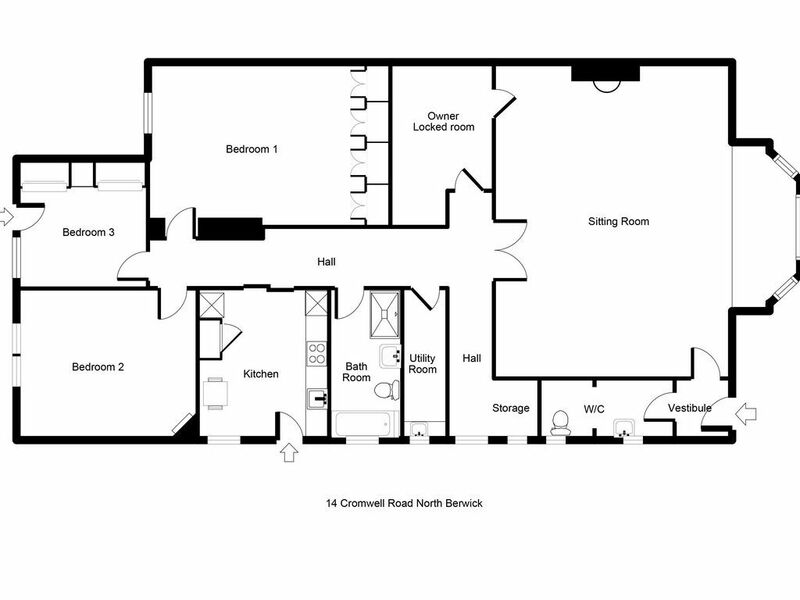 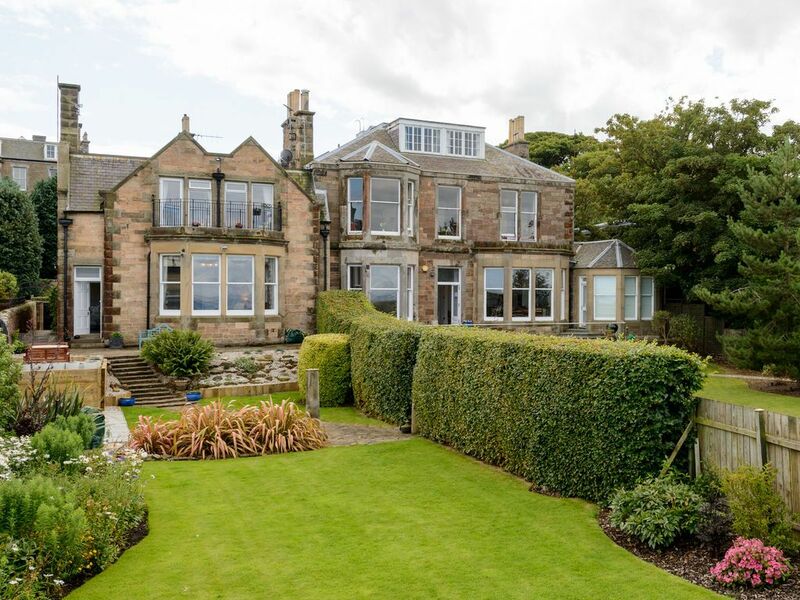 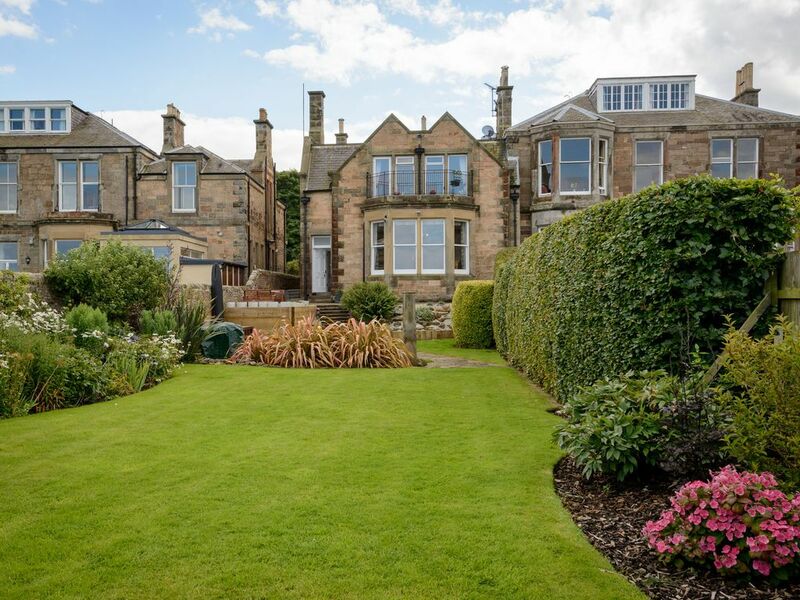 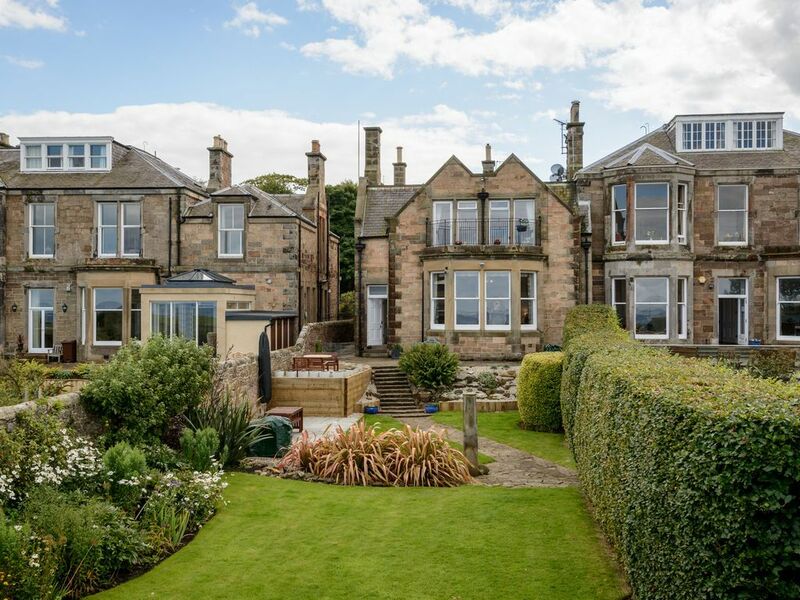 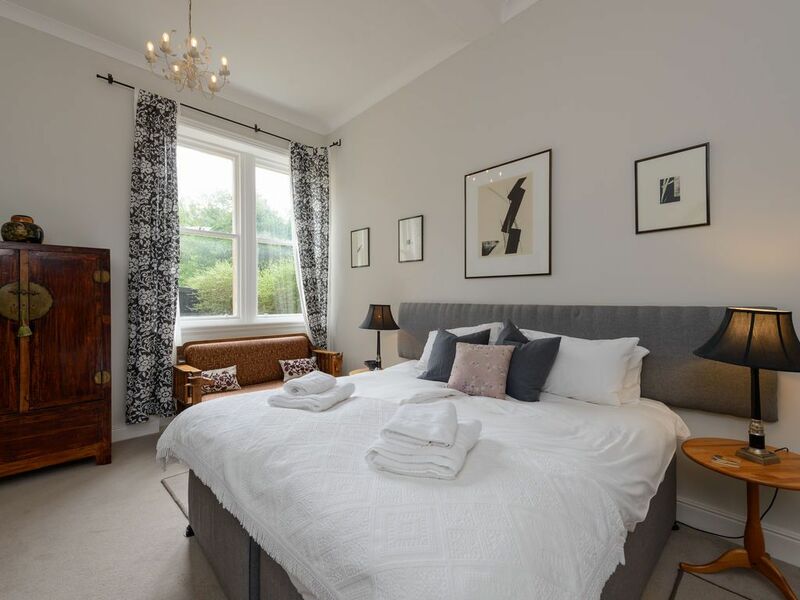 Cromwell Road is a large, ground floor luxury garden apartment within an Edwardian mansion house located in the seaside town of North Berwick, 40 minutes East of Edinburgh. 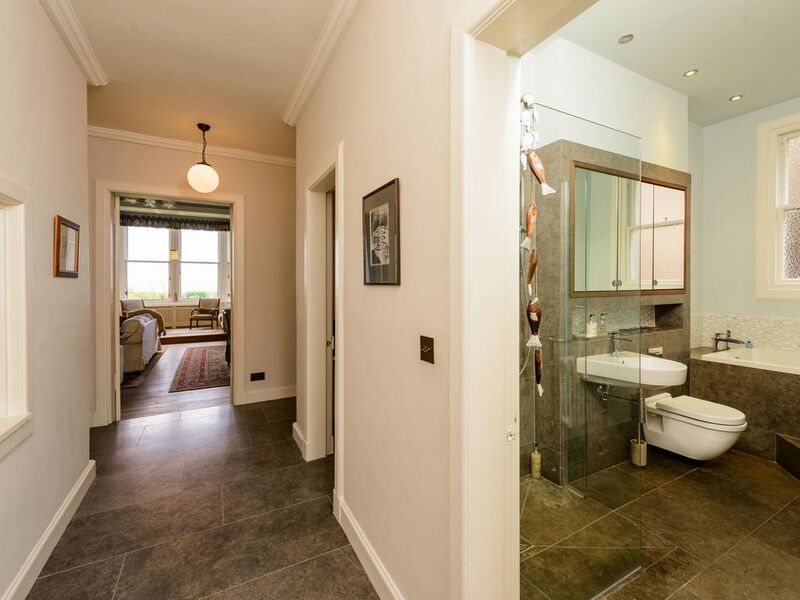 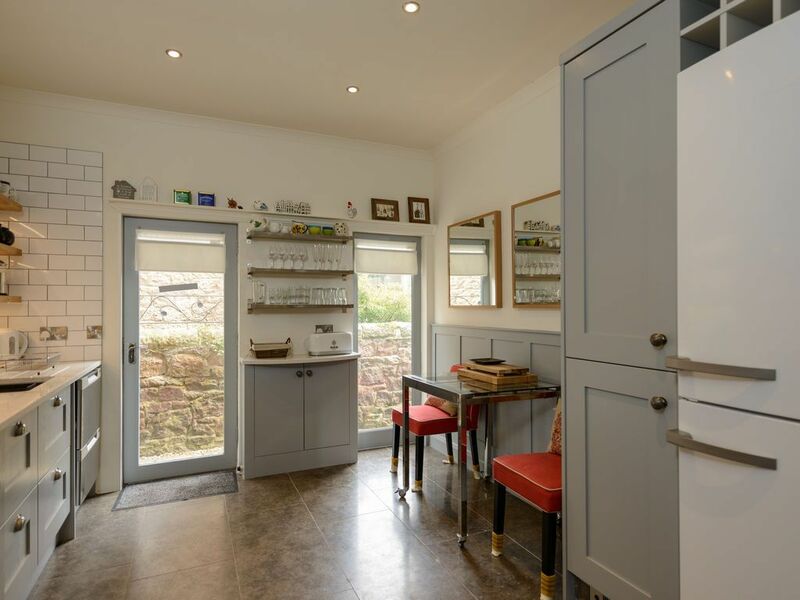 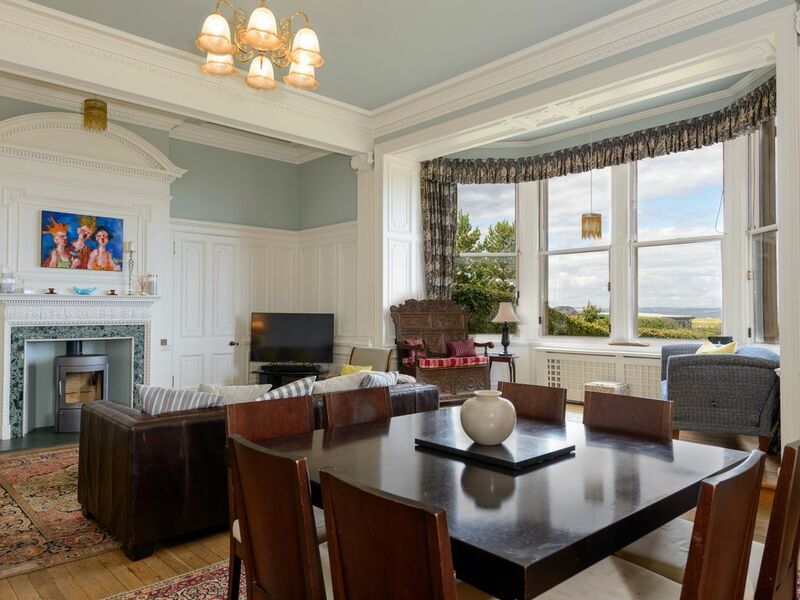 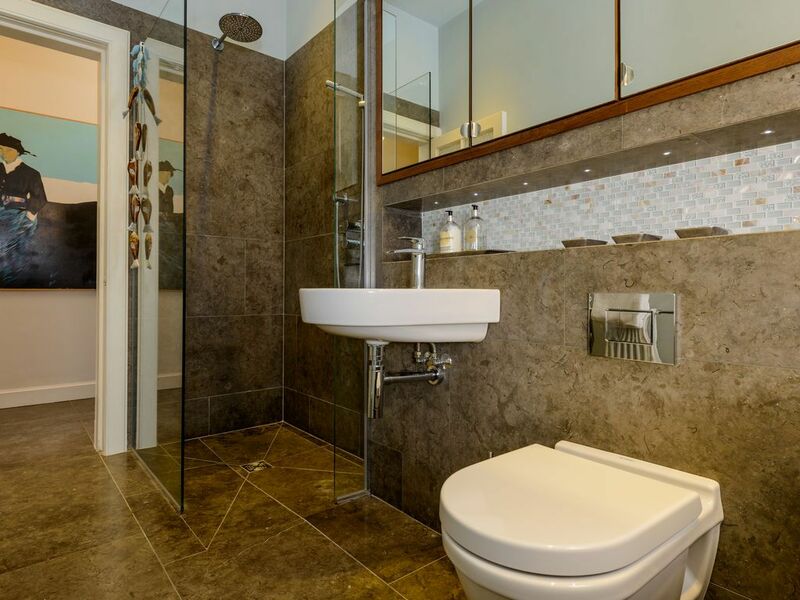 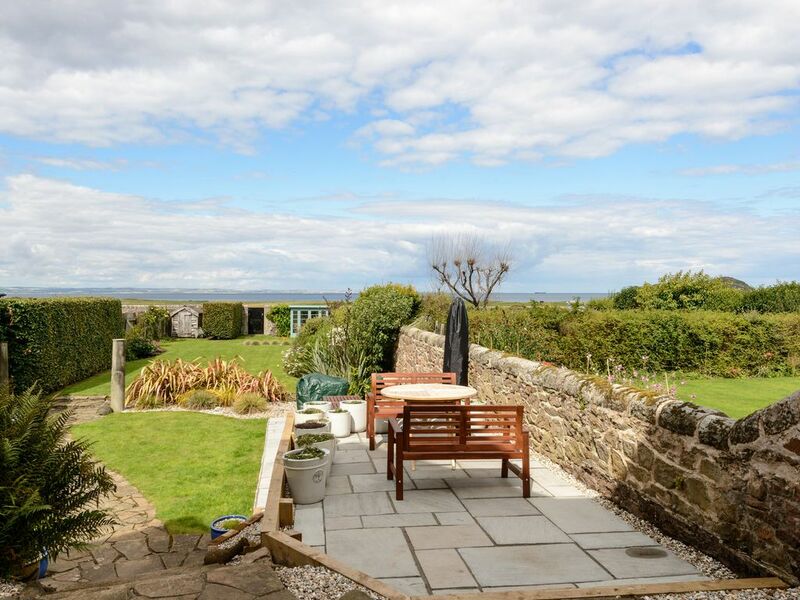 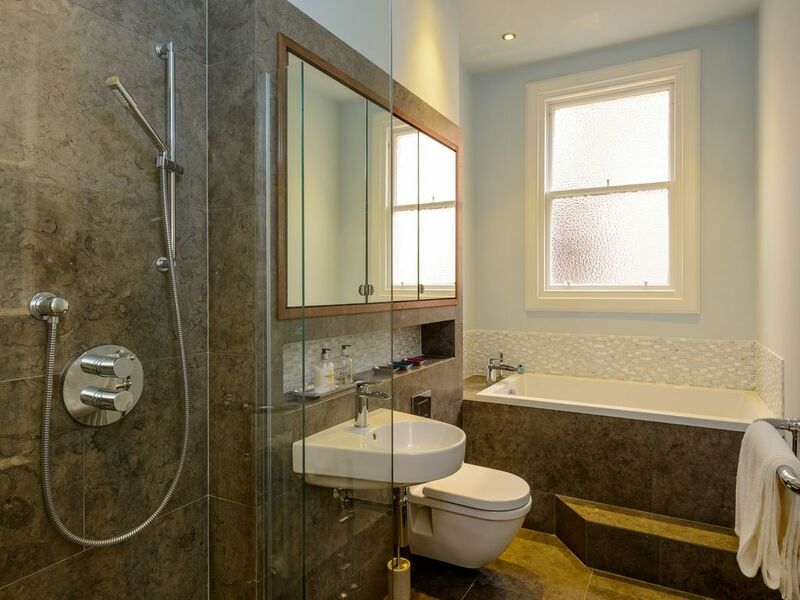 It has the most enviable, uninterrupted views over the Firth of Forth, its islands and the West Links Golf Course. 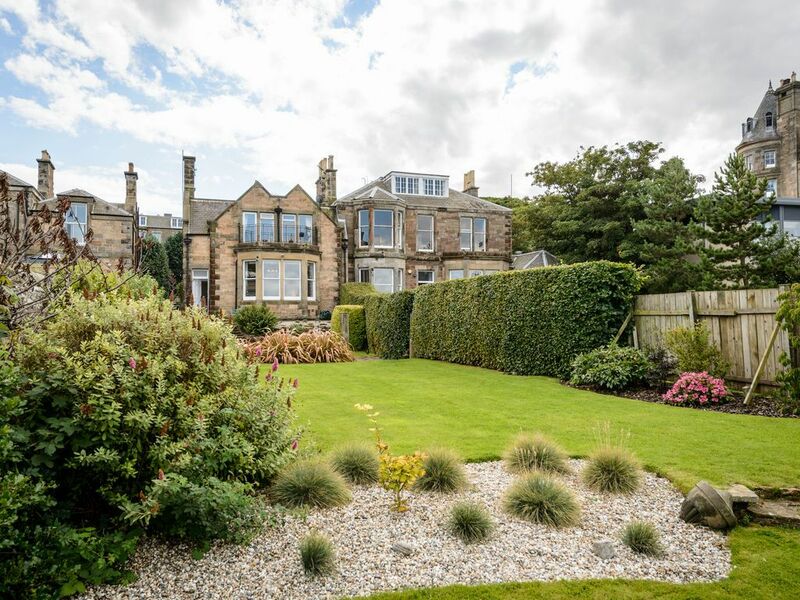 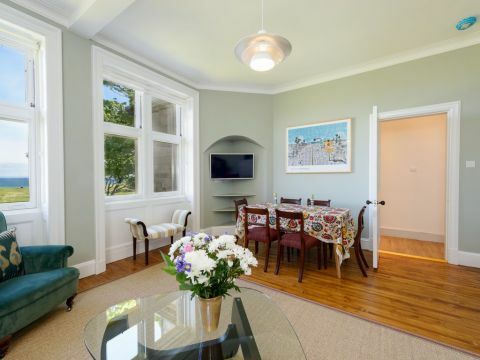 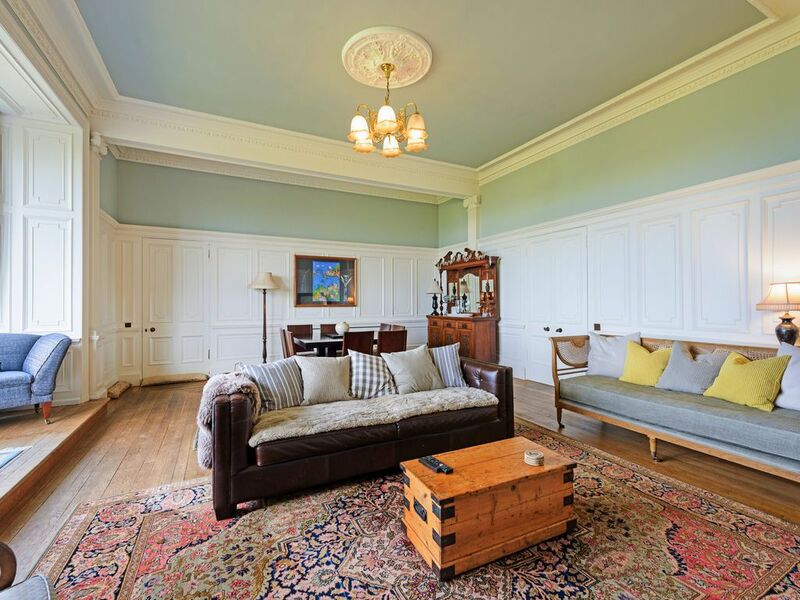 Cromwell Rd has a magnificent drawing room with high ceilings and large bay windows, which overlook the pretty garden and West Links. 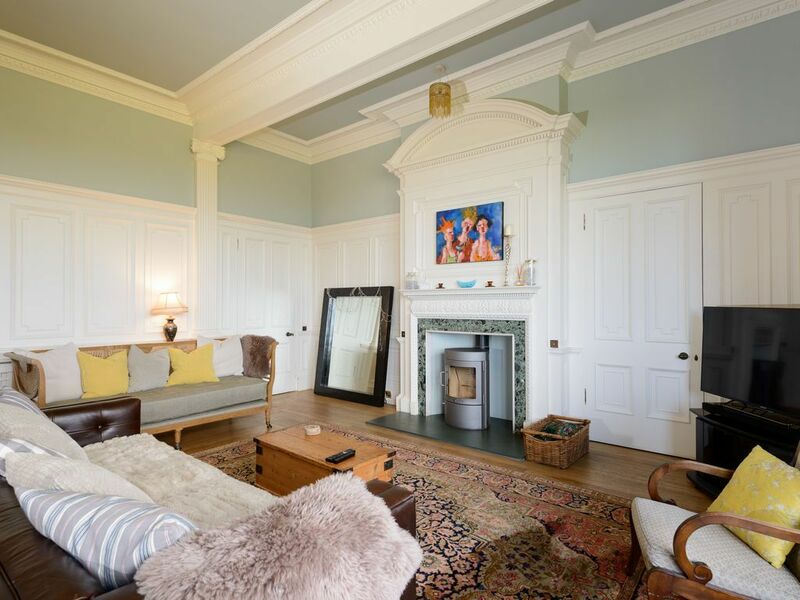 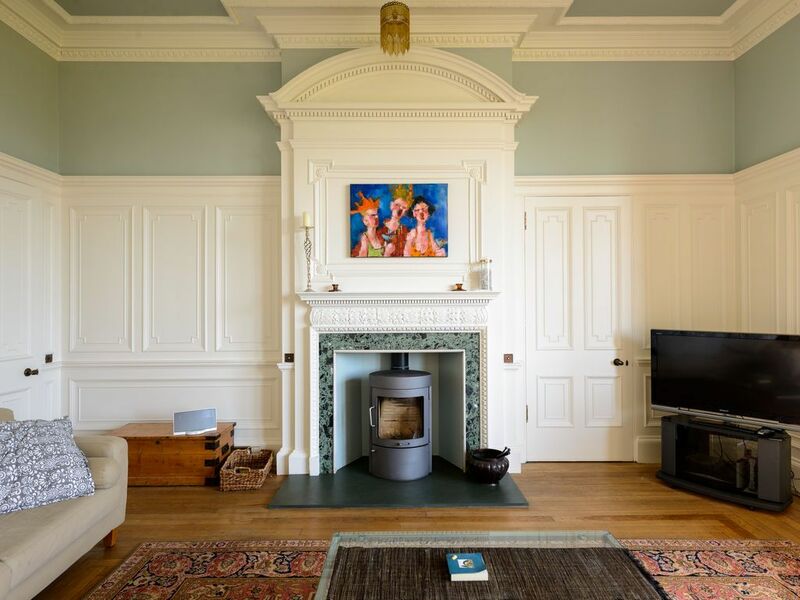 The grandeur of this room is difficult to describe with its state of the art wood burning fire place, solid oak floors and wood panelled walls. 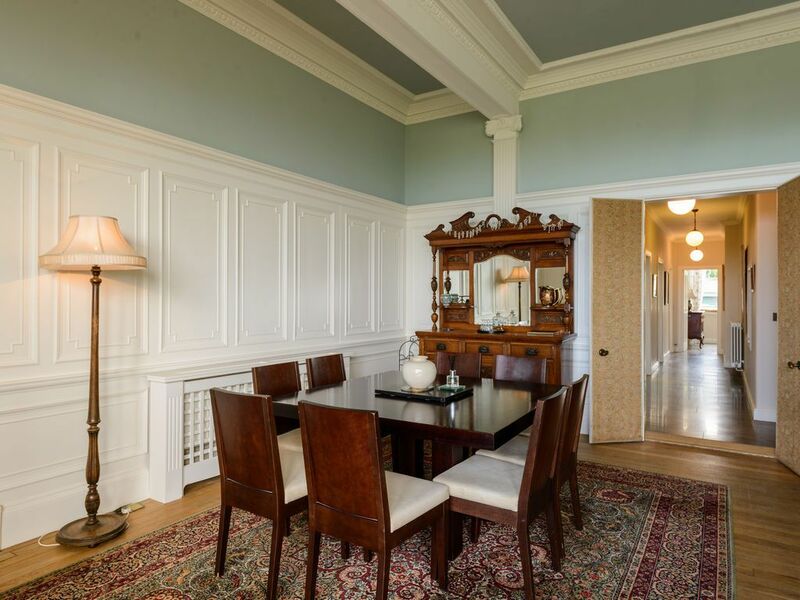 There is stylish contemporary dining table with seating for 8 people in this very spacious room. 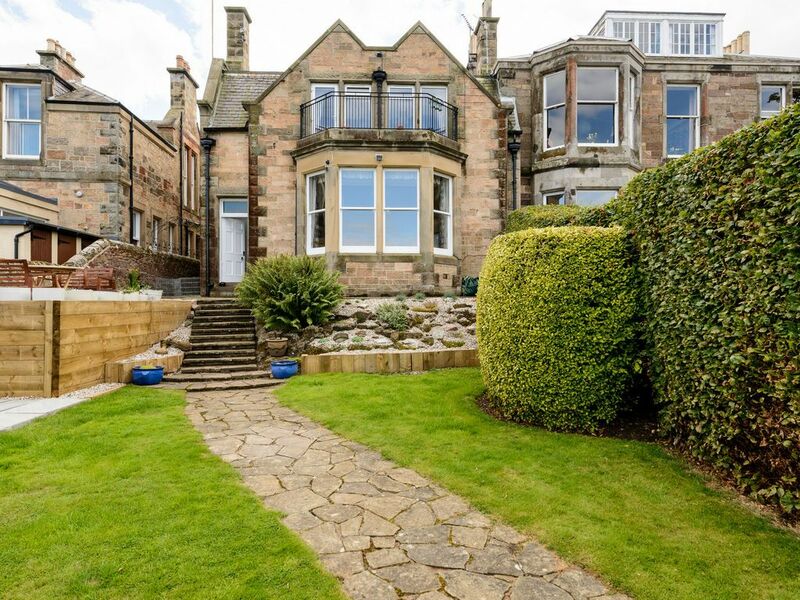 Cromwell Rd has its own extensive garden with a gate directly onto the West Links and the beach. 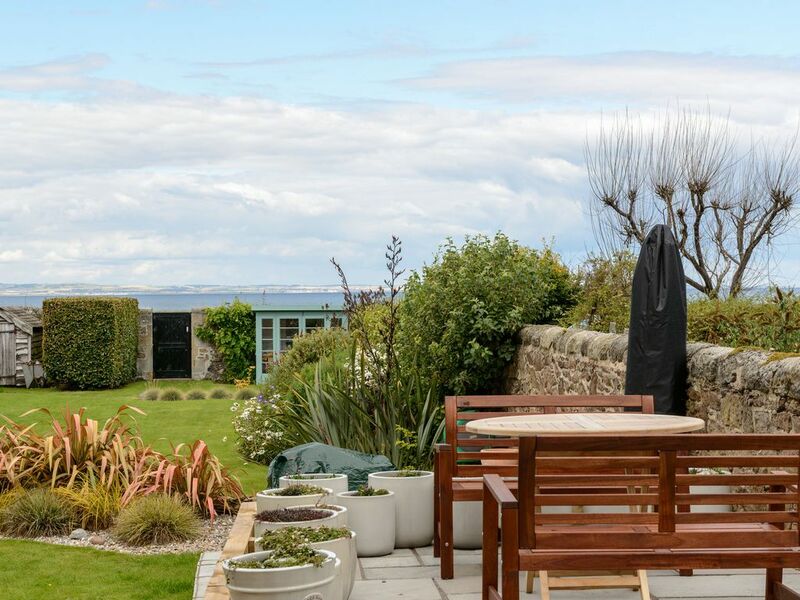 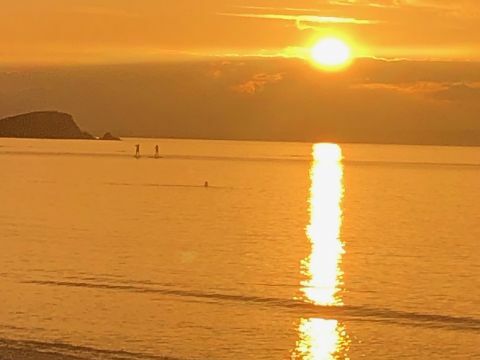 There is a raised patio to enjoy the stunning views and watch the sun setting across the water beyond the island of Fidra and the Paps of Fife and a sandstone paved bbq area.. At the bottom of the garden there is also a summer house. 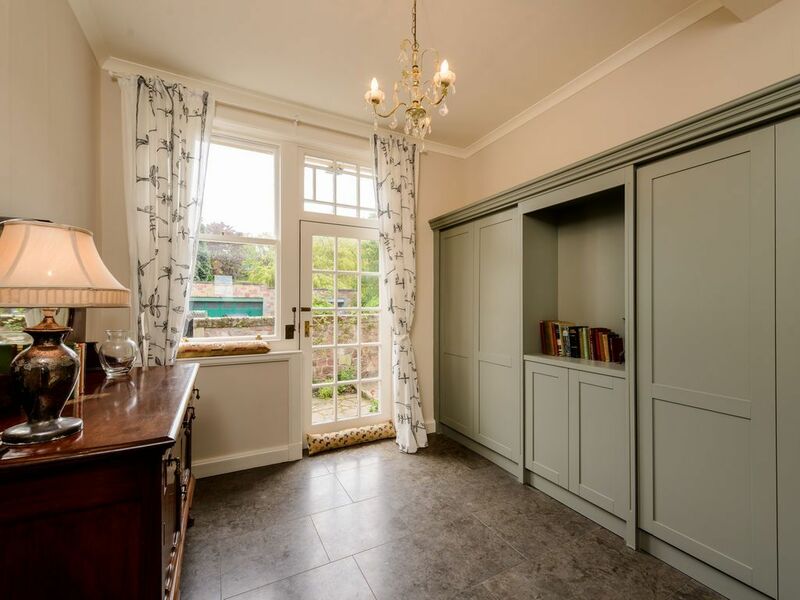 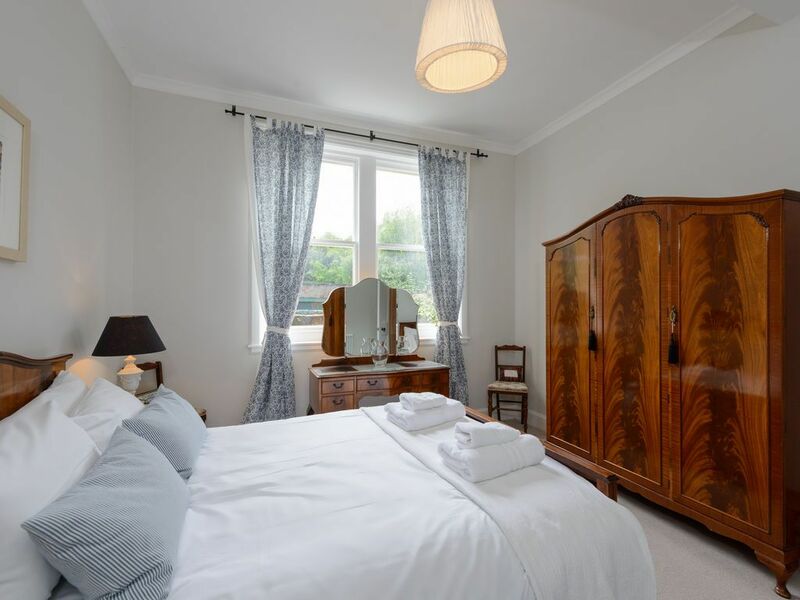 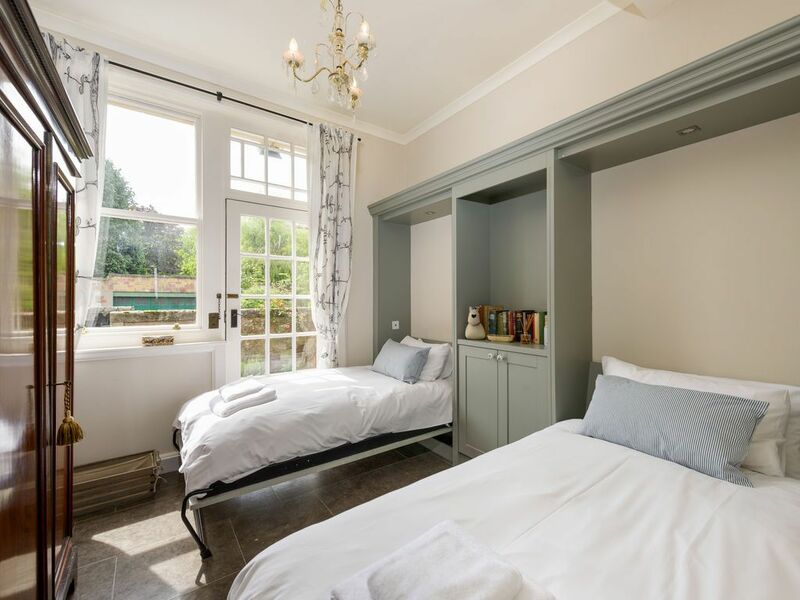 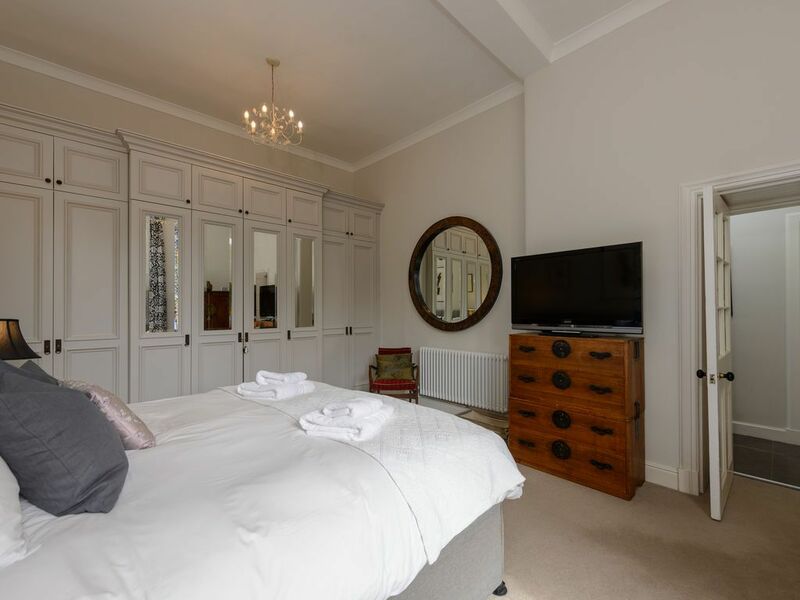 *** At the end of 2016 both of the main bedrooms were refurbished and a wardrobe added to the 3rd bedroom. 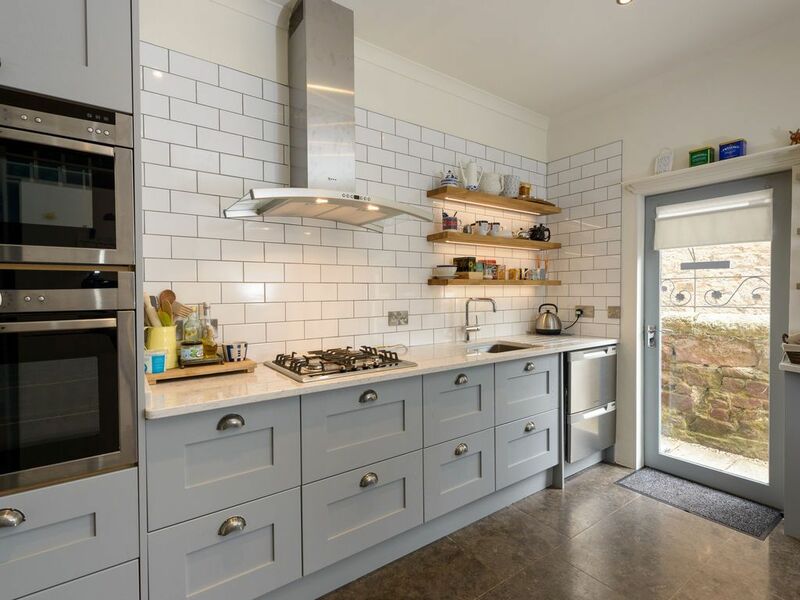 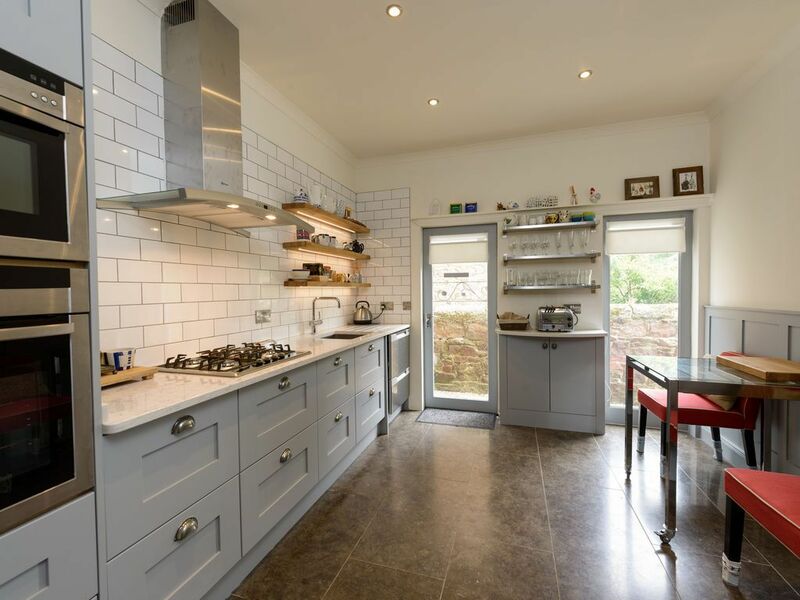 A new kitchen has been finished with bespoke painted wooden cabinets in a soft grey complimented by a beautiful white/grey Silestone worktop. 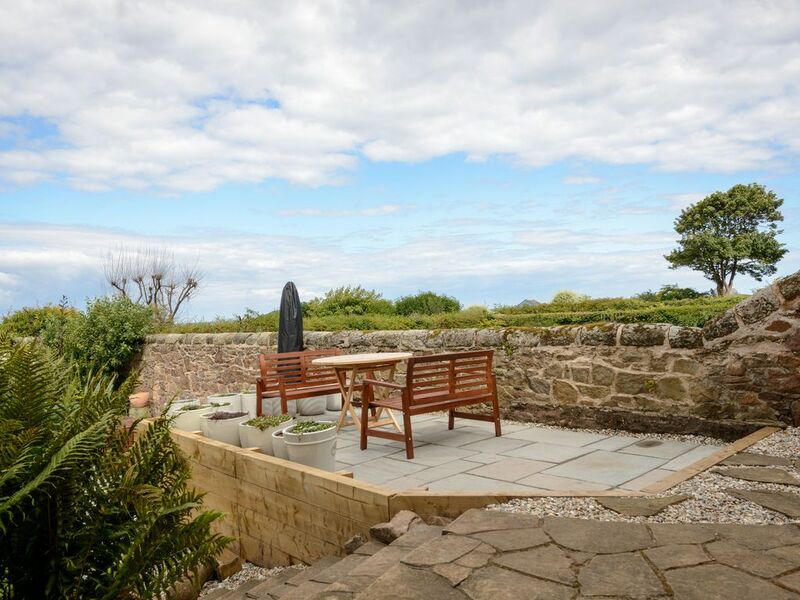 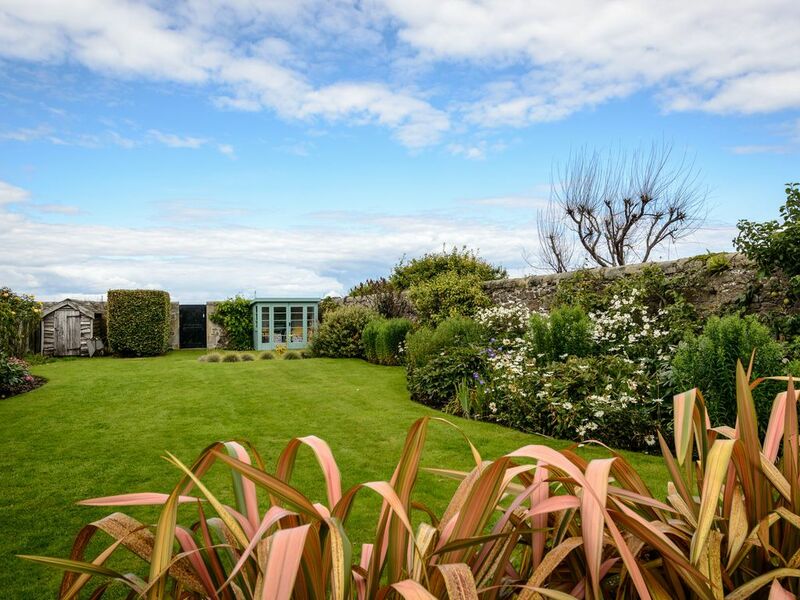 The sofas in the living room have been replaced recently and the garden has a raised seaview terrace and a separate BBQ terrace paved with sandstone.